New Blair as Bridesmaid Dresses! Our new Blair Dress in Romantic Soul is online and shipping... and the prettiest floral dress ever! As bridesmaid dresses, as wedding guest dresses, as a special occasion dress, it is feminine, sophisticated and stunning. With wrap dress styling, a ruffle bodice and a curly sash, Blair in Romantic Soul is new favorite. As bridesmaid dresses, Blair in Romantic Soul can be mixed and matched with other floral prints in the same style or mixed with the same print in different silhouettes. We love Lottie, and Jayne mixed with Blair for a unique look in bridesmaid dresses. To mix prints with Romantic Soul fro bridesmaid dresses, we suggest Glass Souls, Kiss Mix and Heartbreaker. Blair is a stunner from the front, but the back of these beautiful floral dress is pretty too! The back is a scoop and finishes with delicate ruffles. It adds a feminine touch for bridesmaid dresses and ensures every angle is gorgeous... important when it comes to wedding photography! Shop Blair in Romantic Soul here! 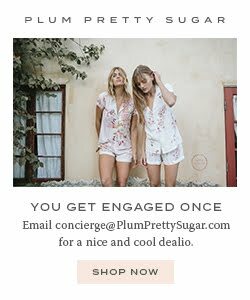 Shop all Blair bridesmaid dresses here! Shop mix and match bridesmaid dresses here! Don't forget to follow on Instagram too you guys! We couldn't resist bringing back our favorite bunny for Easter this year. 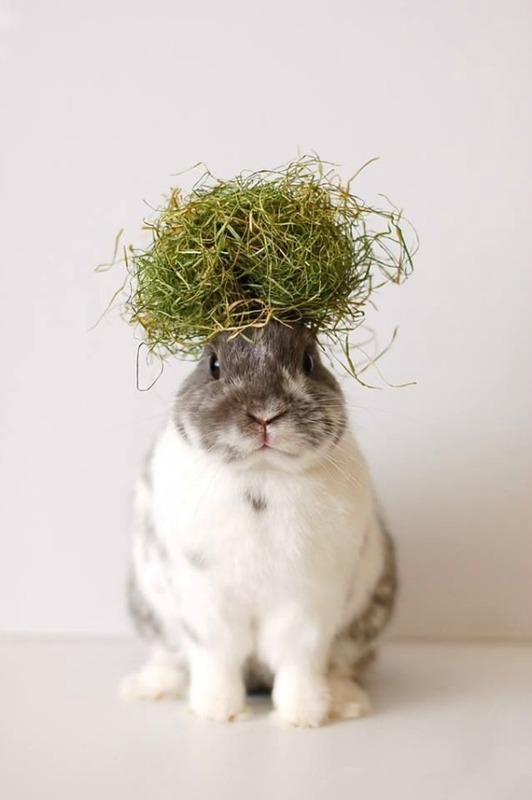 What's a happy Easter without a bunny and some moss? So you guys, Happy Easter! Wishing you all a beautiful weekend. And if you're up for a little shopping, we've got all the floral robes, bridesmaid robes, bridesmaid dresses and floral maxi dresses you need! A little bit of bunny love as Easter is just around the corner. We're getting some pretty things ready for gifting your loved ones in their Easter basket. We can't wait to share. Revealing our top five bridesmaids robes for Summer brides and Summer weddings! If you haven't already ordered your floral robes for bridesmaids, the inside scoop is here. Our Flutter robe in Kiss Mix is the prettiest mix of cream and corals with a pop of green. It's a gorgeous bridesmaid robe and can be worn as a bridal robe too! Glass Souls is a popular print for any of our styles. The bridesmaid robe is no exception. It's stunning gray/blue with high density florals. Our Siren Song flutter robe can be worn as both bridesmaid robes and a bridal robe or bride to be robe. It's feminine, delicate and versatile over a swimsuit after the wedding. Romantic Soul is our exclusive botanical print. It's a beautiful periwinkle color with yellows and corals. The flutter style robe is a alternative bridesmaids robe style that feels fresh and fun and wears long after the wedding day and wedding morning photographs. Tang Bang is unique print featuring lemons that can often appear as flowers. It a fun bridesmaids robe for a destination wedding in Italy or in the South or a lemon theme! Shop all bridesmaids robes here! Be sure to follow on Insta for all the updates! Bridesmaid Dresses and These Girls! When we spy our clients in our bridesmaid dresses it always makes our day. We love seeing the individual styling alongside the fun! 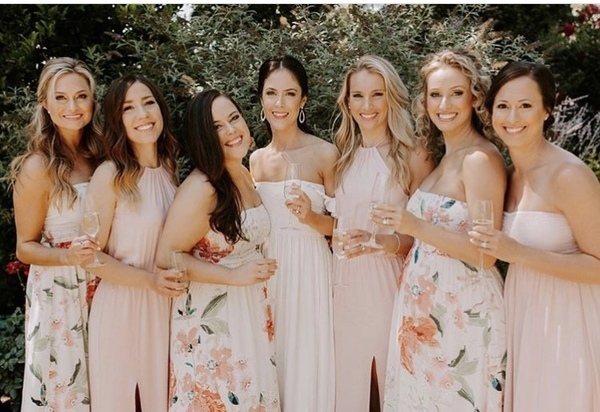 This bridesmaid squad makes us completely excited. Wearing our mix and match bridesmaid dresses in Ashley, Lolo and the bride wearing our Honor Dress in Breeze... we honestly can't get enough. The color palette for this bridesmaid dress grouping is heaven! They coordinated our popular Kiss Mix print in the Ashley and Lolo bridesmaid dresses with our solid Nymph in Lolo and Ashley dresses. We're all heart eyes! The look feels pretty and feminine but with a beautiful and fresh twist. We're certain these bridesmaids will be wearing their bridesmaid dresses again. Can you imagine these maxi dresses for a brunch or date night or everyday? We can! We can! This is the Ashley bridesmaid dress in Nymph. It's a beautiful blush with a halter neck style and a comfortable elastic waist. And those slits! This is the Ashley bridesmaid dress in Kiss Mix. Our Kiss Mix print is a beautiful bridesmaid dress favorite. It combines corals and subtle greens on a cream background. Its a stunning maxi dress! Lolo in Nymph is one of most versatile bridesmaid dresses or maxi dresses. It can be dressed up or down for almost any occasion. Our Honor dress in Breeze is also a popular bridal dress or white dress for brides. Its perfect for a casual wedding, rehearsal dinner, bridal shower dress or for any wedding week occasion. We also love this mixed with our printed Charlotte bridesmaid dresses for a fresh bridesmaid outfit look.